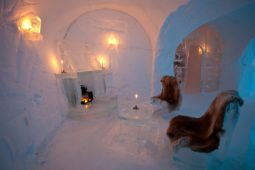 I am pretty sure that almost everyone knows about the Ice Hotel in Sweden. 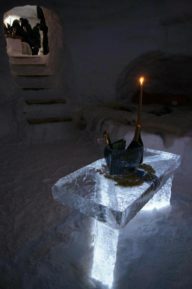 If you have never heard of it, then let me introduce it to you. 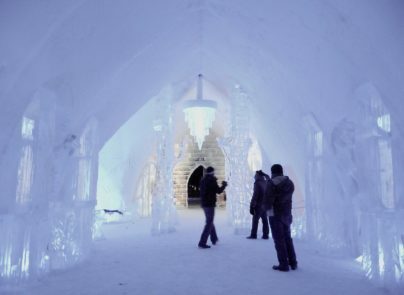 The Ice Hotel is a castle entirely made of ice! 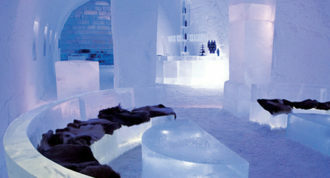 When staying there, guests are given thermic coats to walk around the corridors and/or to just chill in their rooms. 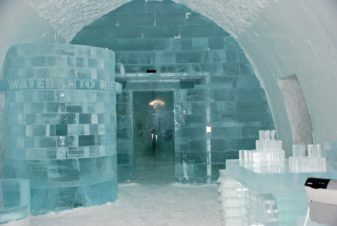 I am not kidding when I say that everything is made of ice. 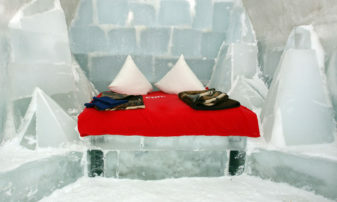 Walls, chairs, even the bedframe is made of ice. 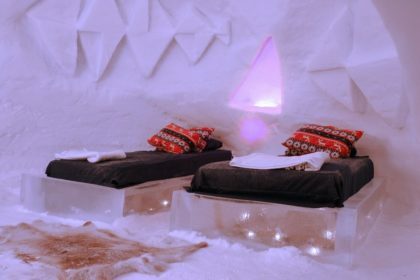 Anyway today’s article is not about the Ice Hotel, I mean not entirely. 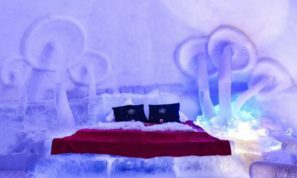 Indeed, The Golden Scope has decided to regroup the world’s best ice hotels—as in hotels made of ice—and put them together in a list. 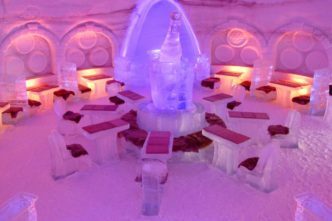 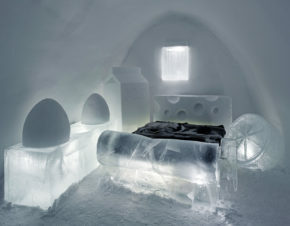 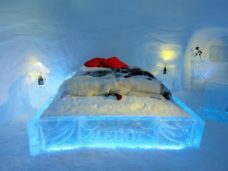 Yes, there are a lot of hotels made of ice located all over the world; the Swedish one is not the only one! 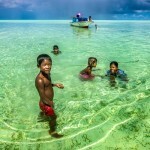 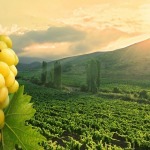 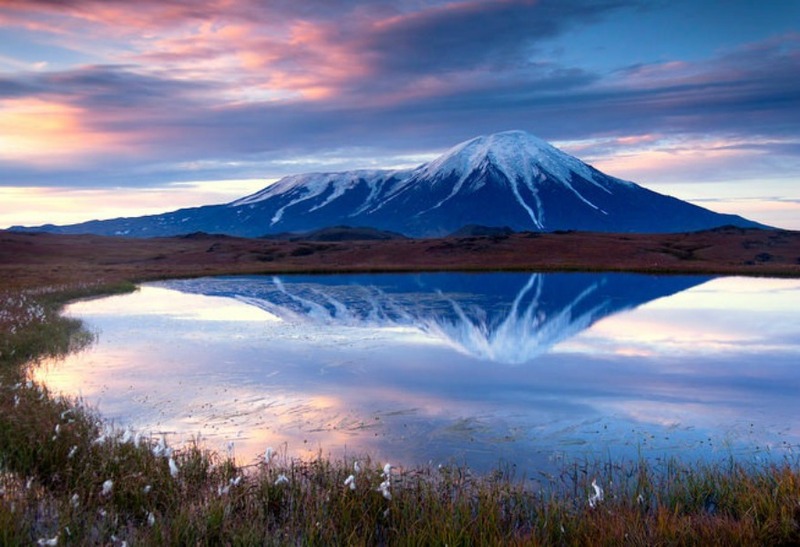 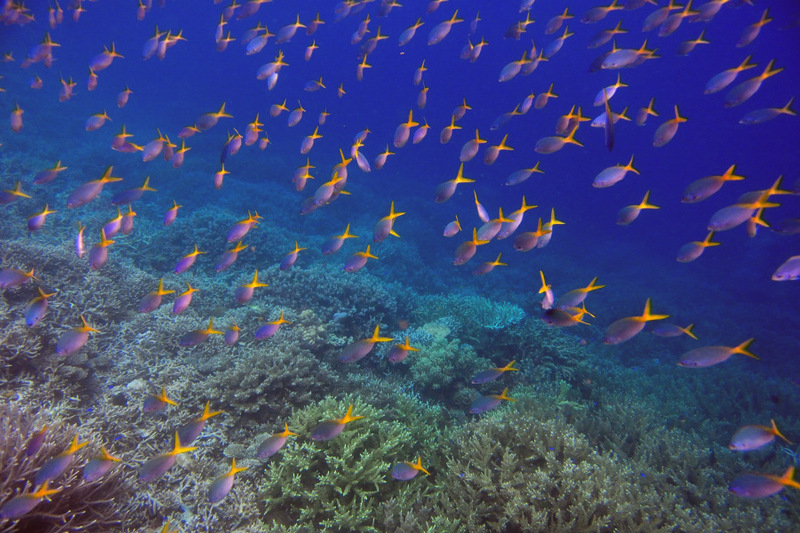 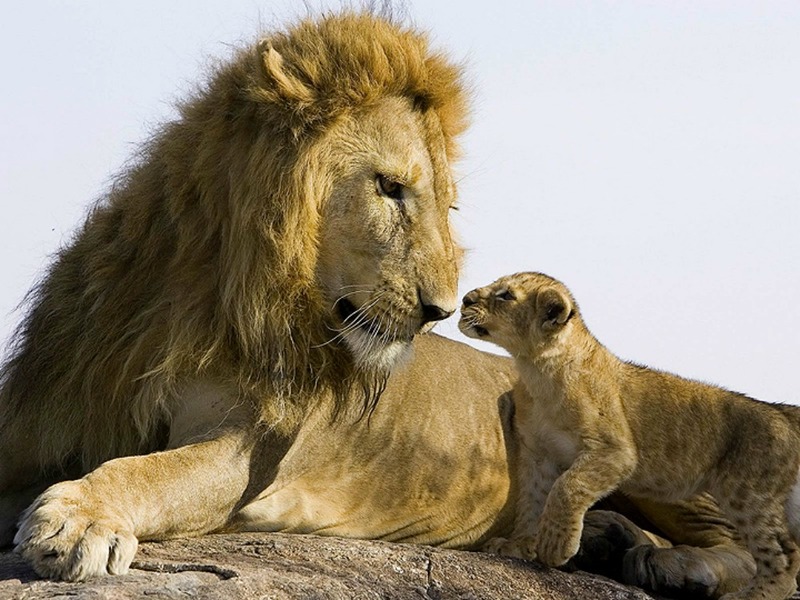 The secret is finding the nearer to you, and for this we are here to help you. 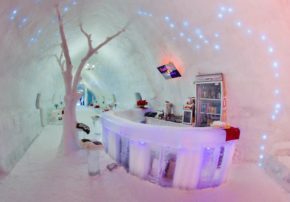 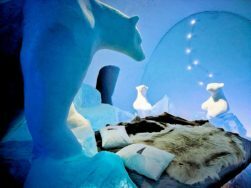 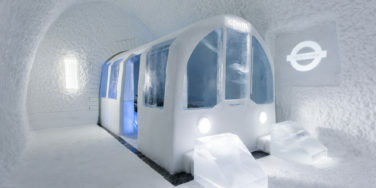 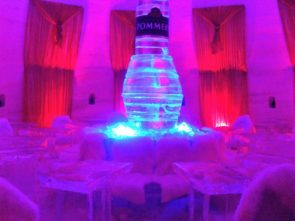 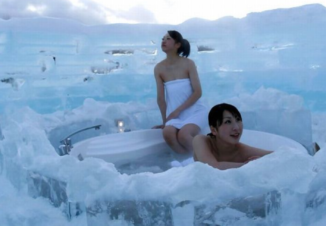 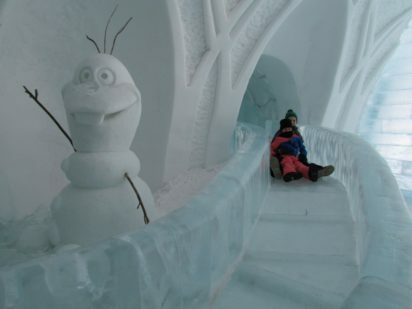 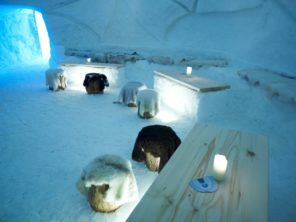 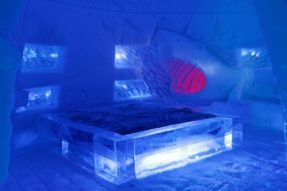 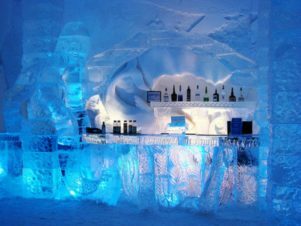 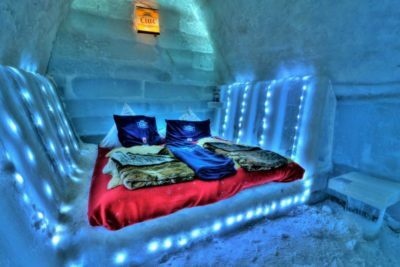 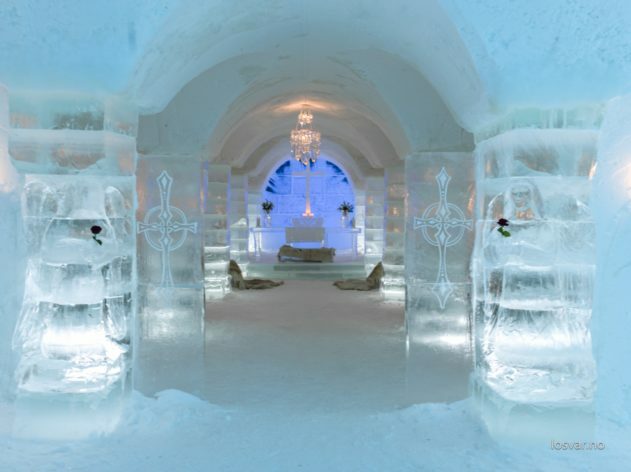 Take a look at the following list featuring the top five ice hotels. 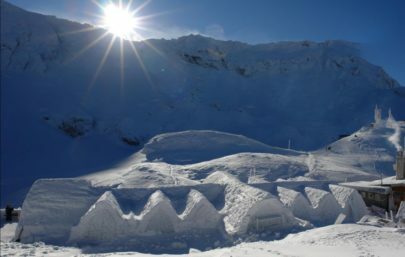 This wonderful hotel, which is located on the Fagaras Mountains in Romania, was built in 2005. 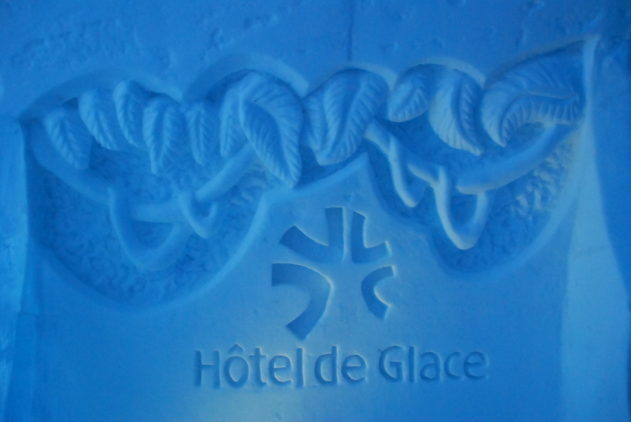 Since then every winter the hotel is rebuilt with huge blocks of ice, cut and removed directly from the glacial Lake Balea. 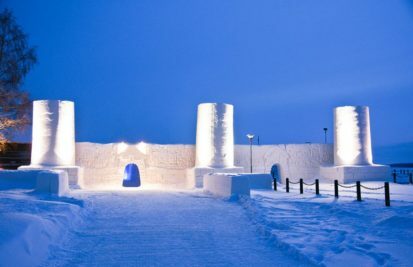 Snow Village is located in the Western part of Finnish Lapland, in close proximity of Ylläs and Levi ski-resorts and easily reachable from the airport of Kittilä. 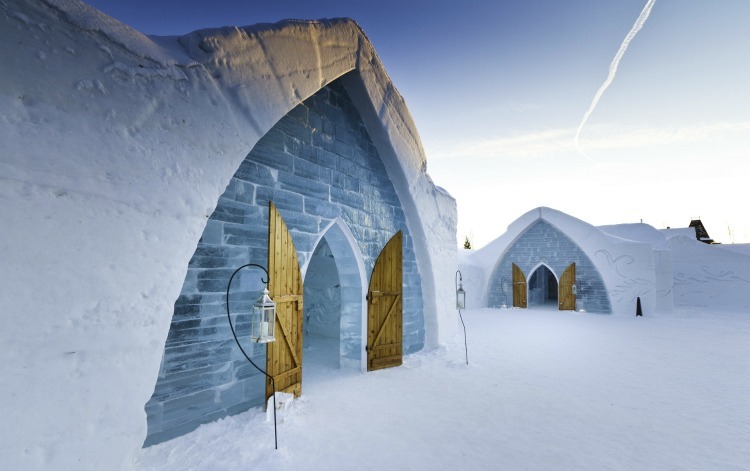 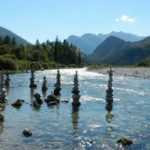 The hotel is rebuilt every year when the temperature drops to about ten degrees below zero during late October or early November. 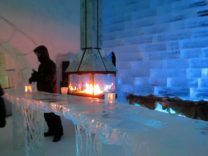 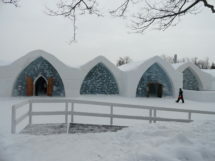 Hôtel De Glace is located at only 10 minutes from downtown Québec City. 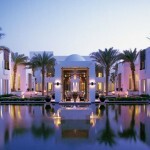 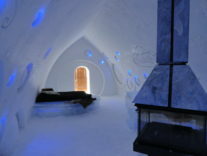 It was first built in 2001 and it features 44 rooms and theme suites. 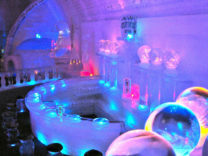 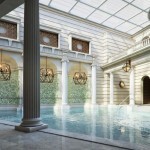 The most luxurious accommodation is the Premium Deluxe Theme Suite with Fireplace and Private Spa. 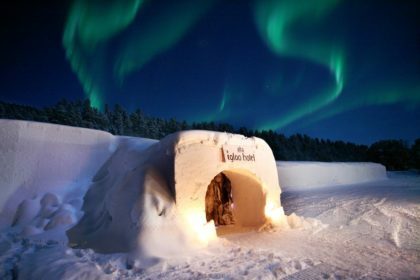 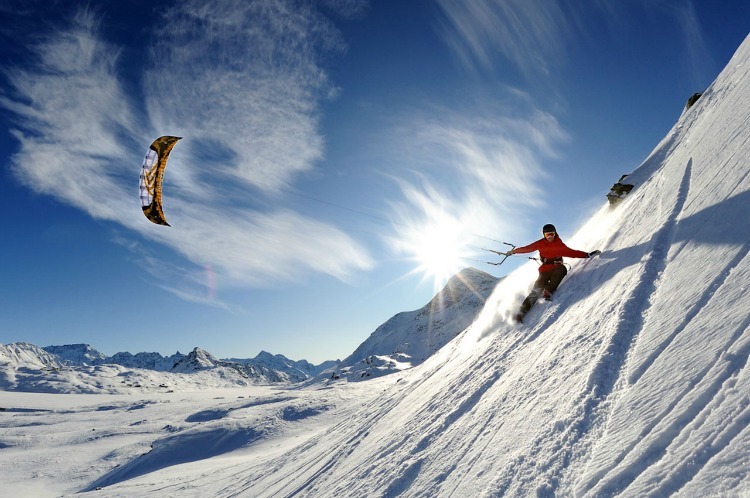 The Igloo Hotel is situated in Sorrisniva—former Alta Friluftspark—20 kilometres from Alta town centre. 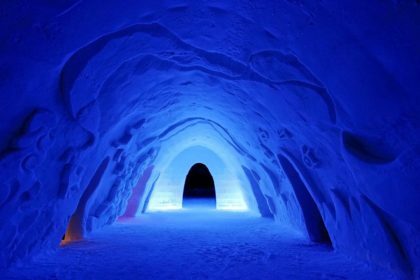 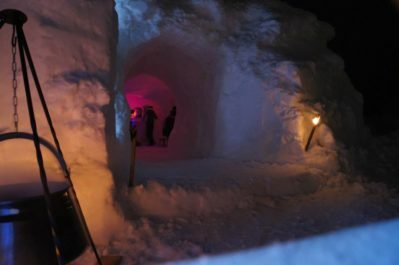 This beautiful ice hotel is built for the 16th time this year. 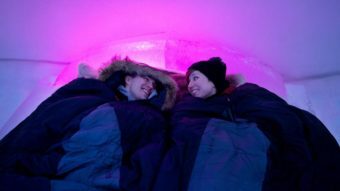 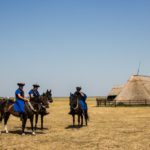 Eskimska Vas includes two igloos for 8 persons and two special romantic igloos for couples. 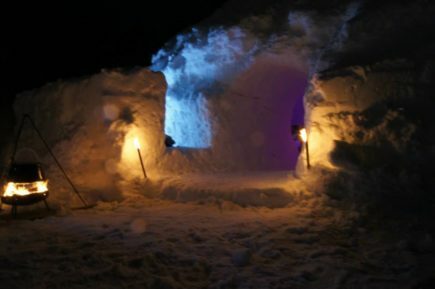 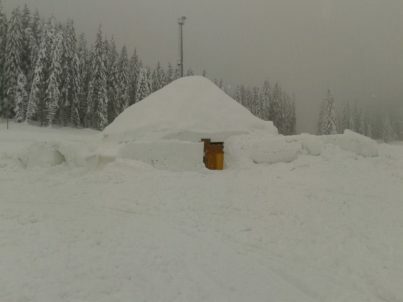 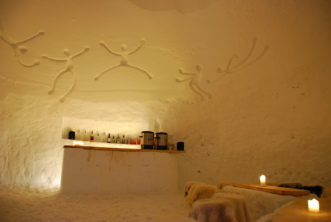 The temperature inside the igloos is around 0 to 4 °C, and the beds are made ​of blocks of snow.